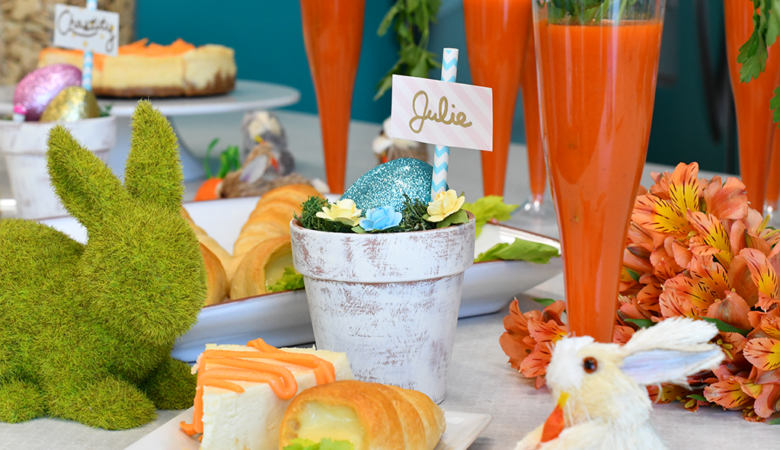 These carrot patch cupcakes are a fun spring dessert! 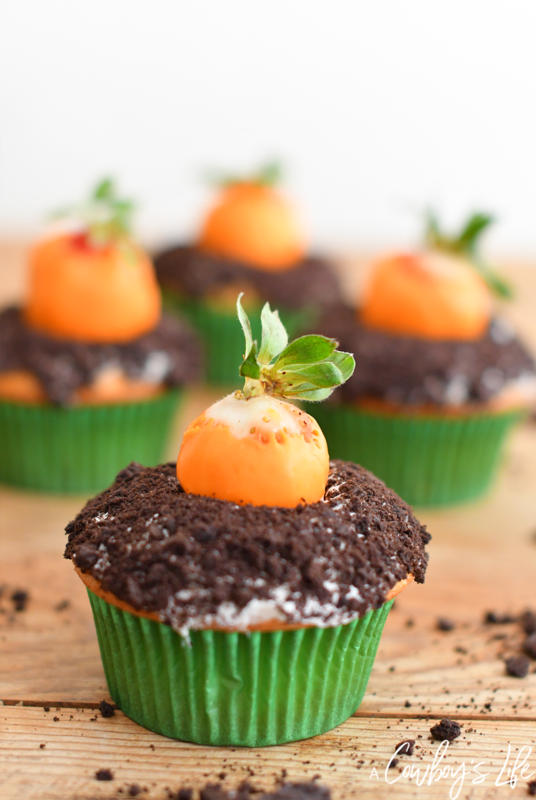 Made with a layer of icing, cookie crumbs and orange chocolate covered strawberry on the top. 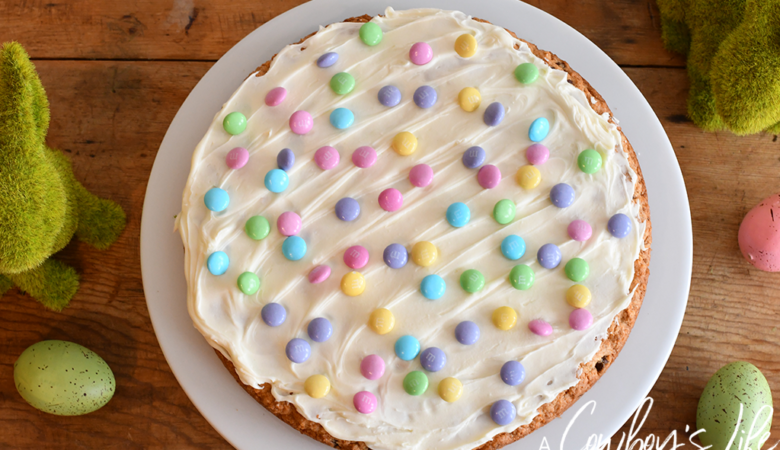 Looking for a fun and unique dessert for your Easter party or a fun treat for your family? 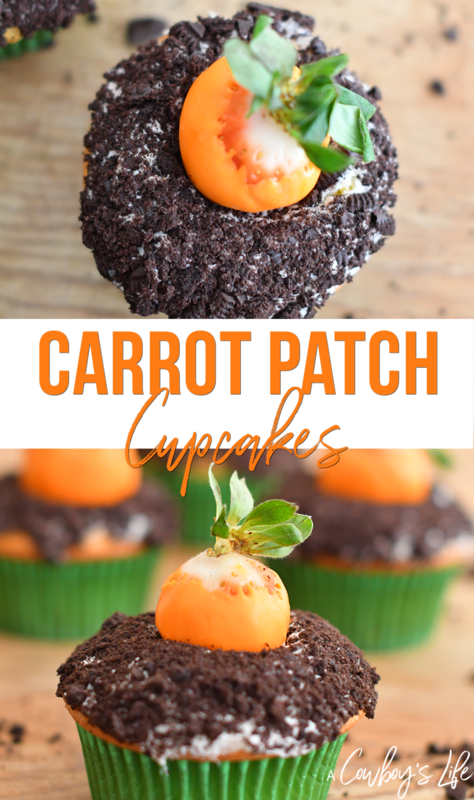 Try out these carrot patch cupcakes. They take about an hour to bake and will be hit at your gathering. 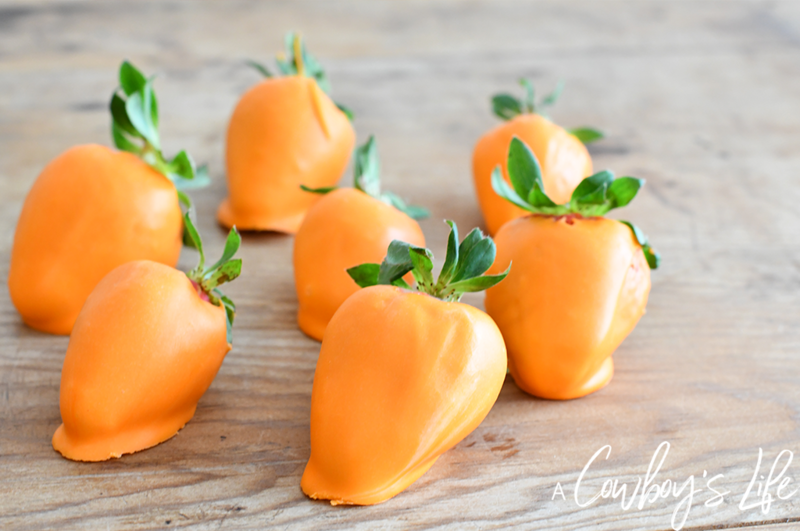 The strawberry “carrots” are my favorite part of the dessert. 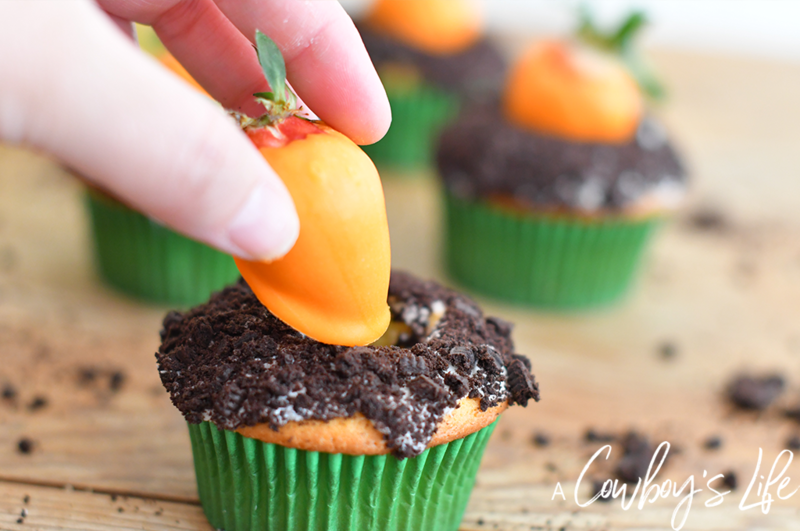 These cupcakes are easy to make and your kids will love helping bake these cupcakes. Place cupcake liner into muffin pans. In a large bowl add the cake mix, eggs, vegetable oil and butter. Stir ingredients until well mixed. Scoop batter in liners and bake for about 15 minutes. Let cool for 5 minutes. 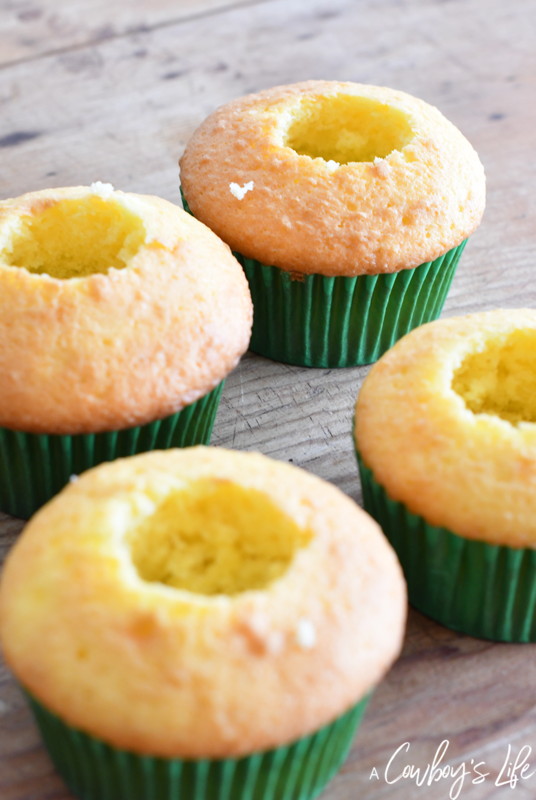 Then scoop out a small hole in the center of each cupcake. Crush the Oreos and set aside. Melt the chocolate candies and then dip the strawberries. 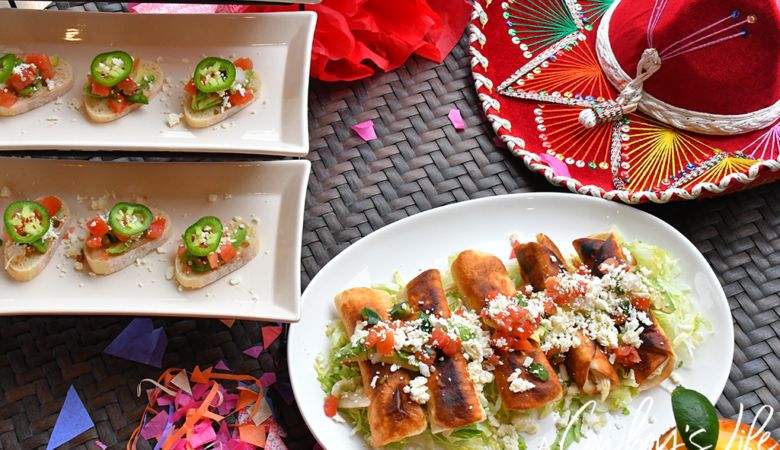 Set on wax paper and place in refrigerator until set. 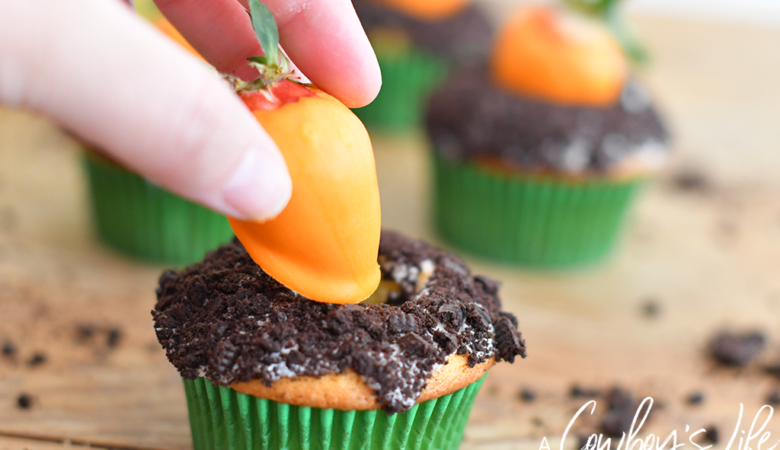 Add frosting to each cupcake, dip in Oreo crumbs and plan strawberries in the the center of each cupcake. What a cute idea!! And people will be surprised that it’s strawberry!